NEW BRITAIN - Jovan Rosa is coming home. After spending time with Campeche of the Mexican League, the two-time Atlantic League All-Star has signed with New Britain to return for his 11th season of professional baseball. While with Campeche, Rosa appeared in 66 games, posting a .277 batting average and eight home runs. He also had 15 doubles, 35 RBI and 29 runs scored. Last season, Rosa was named to the postseason Atlantic League All-Star Team. He led the league in games played (139), hits (159), and doubles (40), while finishing second in at-bats (530) and total bases (246), third in extra-base hits (56) and 10th in batting average (.300). The slugger also had 72 RBI and scored 59 runs. Rosa graduated from East Hartford High School in 2005, and was drafted out of Florida Gateway College by the Chicago Cubs in the 2006 MLB Draft. After spending four seasons with the Cubs organization, Rosa made his Atlantic League debut in 2015, splitting time between the Bridgeport Bluefish and Southern Maryland Blue Crabs. He joined the Bees the following season, playing in all 140 games and collecting a .283 batting average with 13 home runs, 31 doubles, 59 RBI and 56 runs. 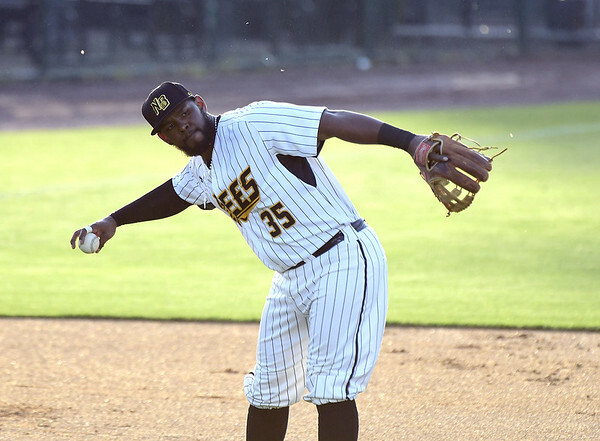 Posted in New Britain Herald, New Britain Bees on Friday, 20 July 2018 21:00. Updated: Friday, 20 July 2018 21:02.